By This Time Tomorrow, this should all be over. We shall know, who Won and who Lost. At this point, flip a coin. Sure, sure, the Penskes look strong as always and Carpenter is the hometown hero to pick, but one thing is immutable: None of these people have raced this aero package at these speeds. None of these people have raced this aero package at these speeds. This is the first time that Indycar teams will be going this fast with the new speedway aero kit. No one has run in traffic – let’s say, for the sake of discussion, that “traffic” means three-wide heading into Turn 3 at 230 mph – and no one has done it for 500 friggin’ miles. 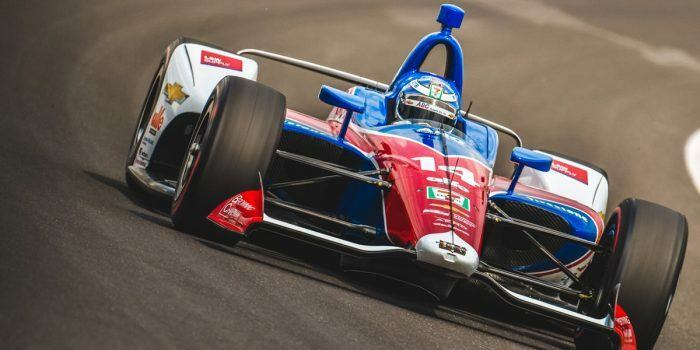 Tony Kanaan was the fastest (227.791 mph) in the No. 14 ABC Supply AJ Foyt Racing Chevrolet during final practice on Miller Lite Carb Day. Kanaan won the 2013 Indianapolis 500. Photo: IMS LLC. I mean, say what you want about the driving precision needed to “work” at Monaco – and I could, but we’re not covering Grand Prix racing (SPONSOR US) so I’ll have to connive a way to do that later – but screwing up tomorrow, in Speedway, Indiana is going to have Serious Consequences. So don’t screw up. And don’t overreact to any near screw ups that anyone makes around you. And if someone does screw up, don’t get caught up in it . . . and take advantage of the yellow flag it’ll cause . . . and the next (inevitable) yellow . . . nail the pit stops . . . bring it into Victory Circle . . . drink your milk. 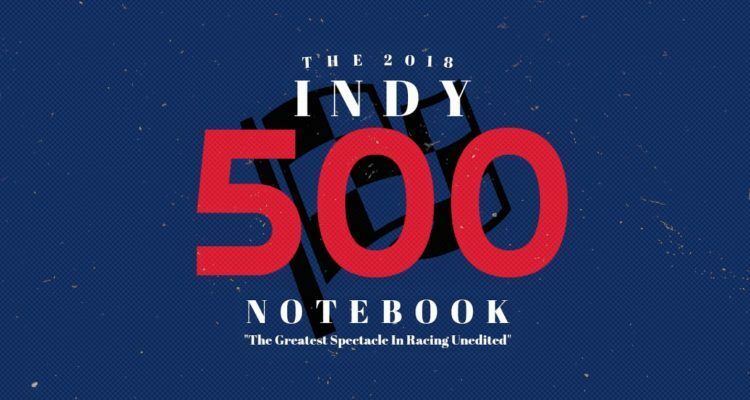 No Comments on "2018 Indy 500 Notebook: Part 4: By This Time Tomorrow"